Graduate students studying agricultural and biosystems engineering work in a campus lab. Larger photo. Photo by Christopher Gannon and courtesy of the department of agricultural and biosystems engineering. 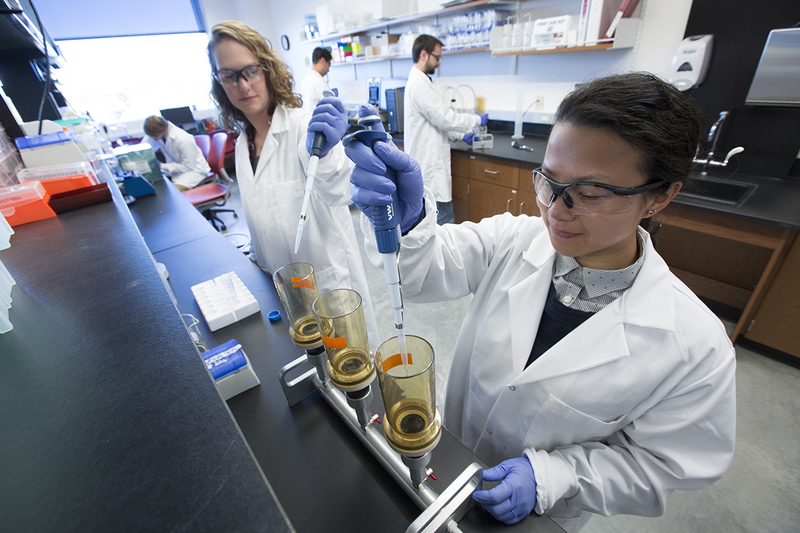 AMES, Iowa – Iowa State’s graduate program in agricultural and biosystems engineering is still one of the country’s best, according to the latest rankings of graduate programs by U.S. News and World Report magazine. Other high marks from the magazine go to the College of Veterinary Medicine (13th overall and 9th among public universities), statistics (tied for 20th overall and tied for 11th among publics) and engineering, which has nine programs ranked among the top 25 public universities. Iowa State programs in agricultural and biosystems engineering, veterinary medicine, statistics and engineering earned the university's top scores in the new U.S. News and World Report rankings of graduate schools.